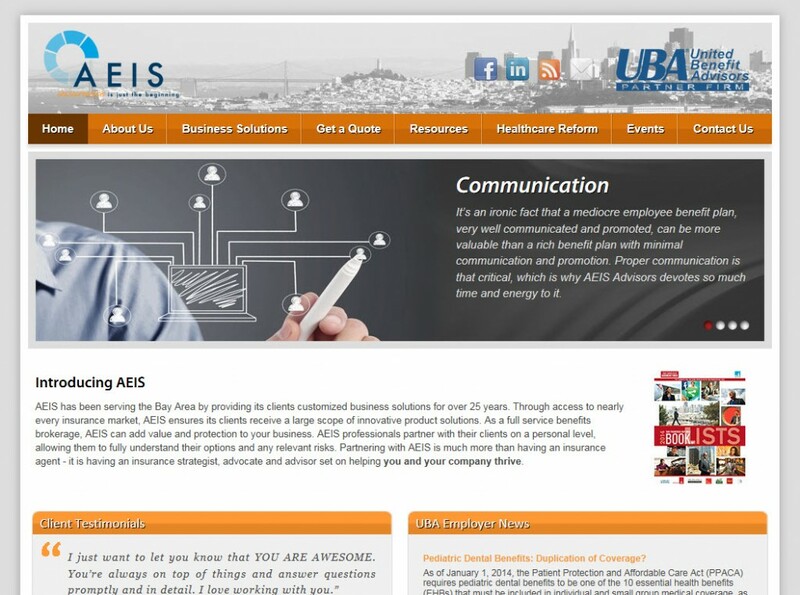 Here is another of our latest websites, just launched for AEIS. The AEIS website was recently launched with a special focus on engaging the user with interesting content and design. We integrated a rotating image banner and blog/news feed into the site to provide updated content daily. The site is easy to navigate, clean and concise, with UBA resources featured prominently. Visit the new AEIS site at http://www.aeisadvisors.com/.